As I was sitting at the doctors' clinic (couple of months ago), waiting for my turn to be called in. Whilst flipping through, spotted few recipes I like but was too embarrassed to ask for some papers at the reception, so I did what most people with smart phone do!!! 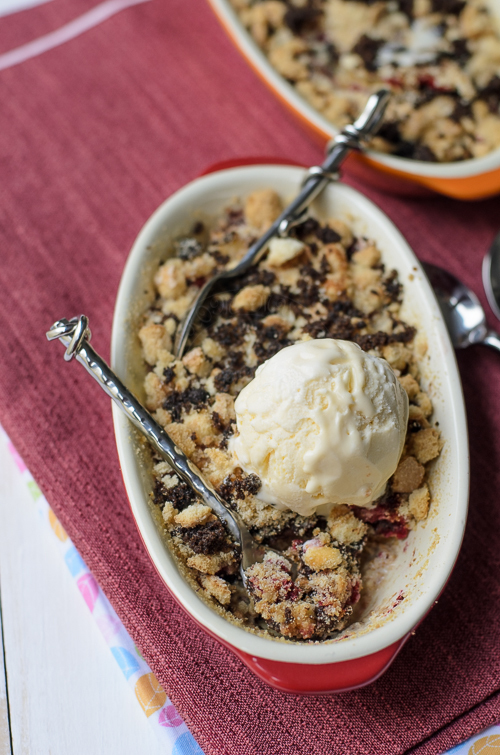 I have never heard of brown betty dessert before; raspberries, chocolate and ice-cream.... one word kept playing over and over again.... "Yummy...."
A Brown Betty is a traditional American dessert made from fruit and sweetened crumbs. 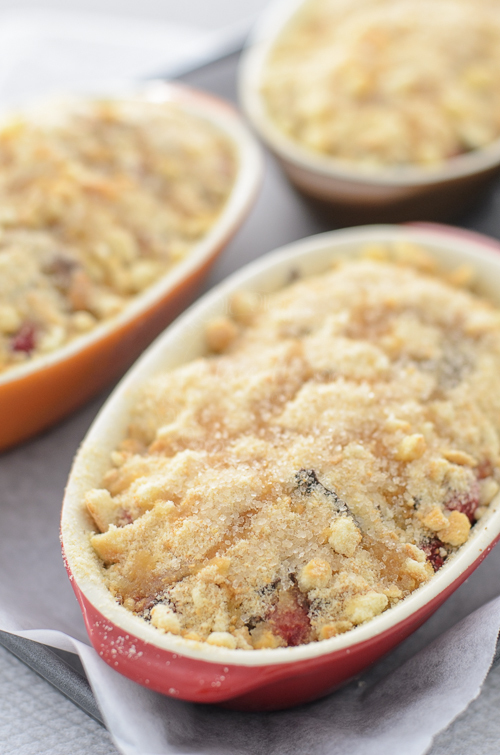 Similar to a cobbler or apple crisp, the fruit is baked and in this case the sweetened crumbs are in layers between the fruit. E complained of dark chocolate (she is not a fan of dark chocolate!!!) and H complained its too dry!!! Second round : Chopped dark chocolate for 3 of us and milk chocolate for hers. Sprinkled with raw sugar. E was happy as I made hers with milk chocolate, but H, "Nah!!! I still don't like it"
Will I be making it again??? Yes... Brown Betty for THREE!!! 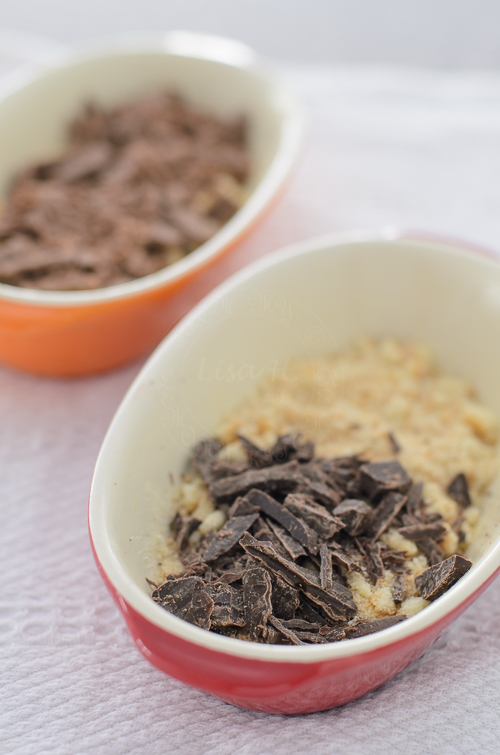 Crushed saviordi biscuits by hand or used food processor (for fine crumbs). 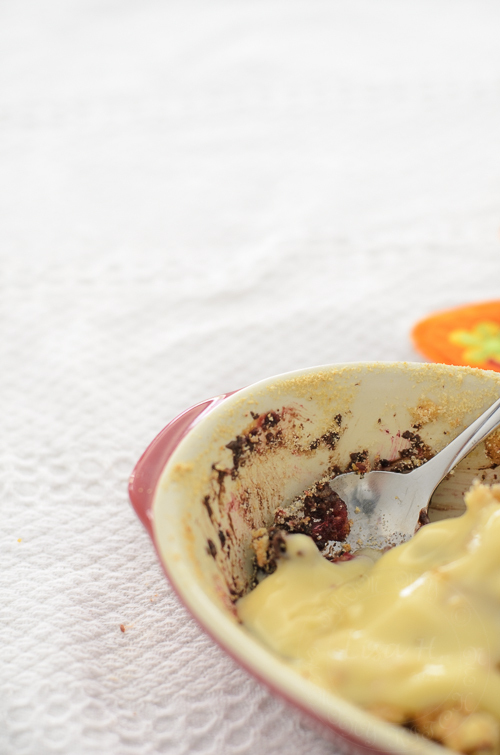 Grease shallow baking dish with melted butter. 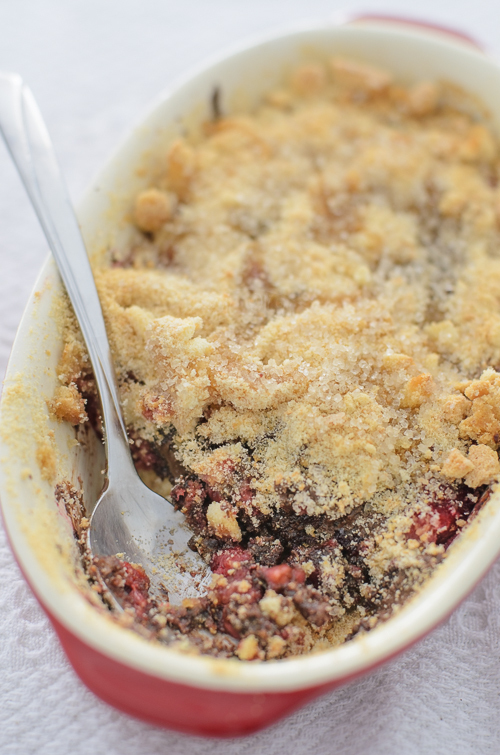 Fill up the base with half of the crushed biscuits. Top with 25g chocolate, followed with raspberries. 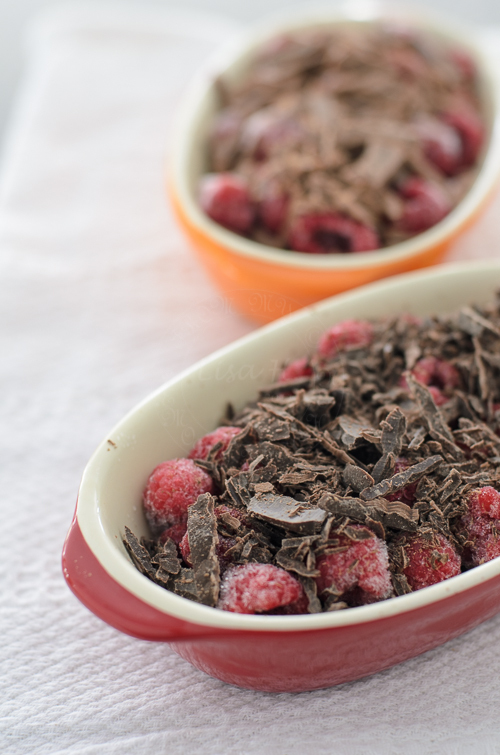 Sprinkle the remaining of chocolate shavings on top of raspberries, followed by crumbed saviordi biscuits. 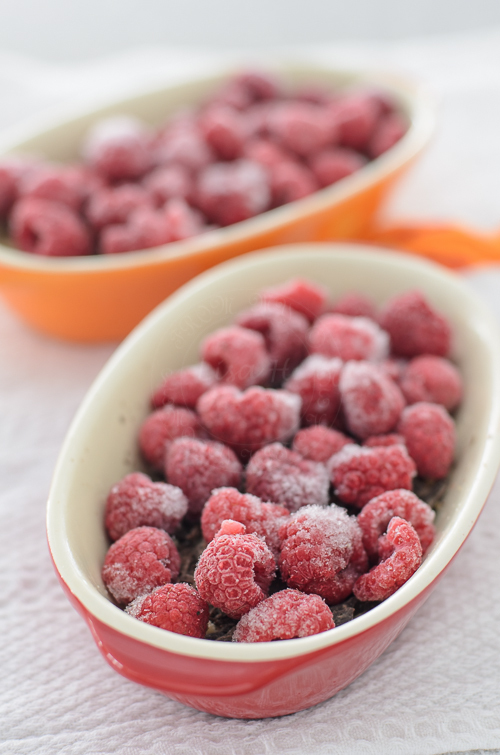 You can't beat fresh raspberry desserts in the summer. And I've been there with taking photos of recipes too! Exquisite! This is a fabulous treat. I just had foodgasm! This is heavenly! 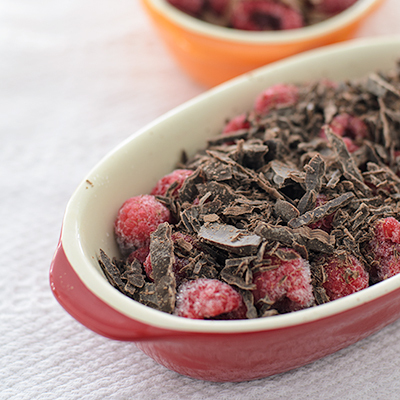 I somehow never think of pairing fruit and chocolate. This looks fantastic. Thanks for sharing!